Getty ImagesA worker inside an Amazon warehouse. President Donald Trump is eyeing legal means to go after Amazon, according to a report from Axios’ Jonathan Swan. This isn’t the first time Trump has set his sights on the retailer. 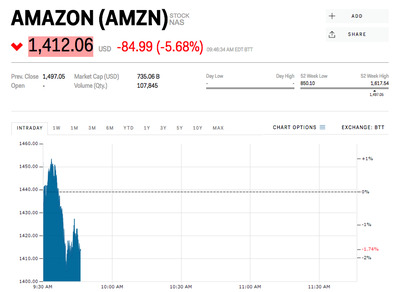 Amazon shares are down 5.68%. Watch Amazon in real time here. Shares of Amazon are under pressure, down 5.68% Wednesday morning, following a report President Donald Trump is eyeing legal means to go after the e-commerce behemoth. Axios’ Jonathan Swan says Trump believes Amazon is making life difficult for smaller, locally-owned retailers and wants to find a way to slow down its dominance in online retail. 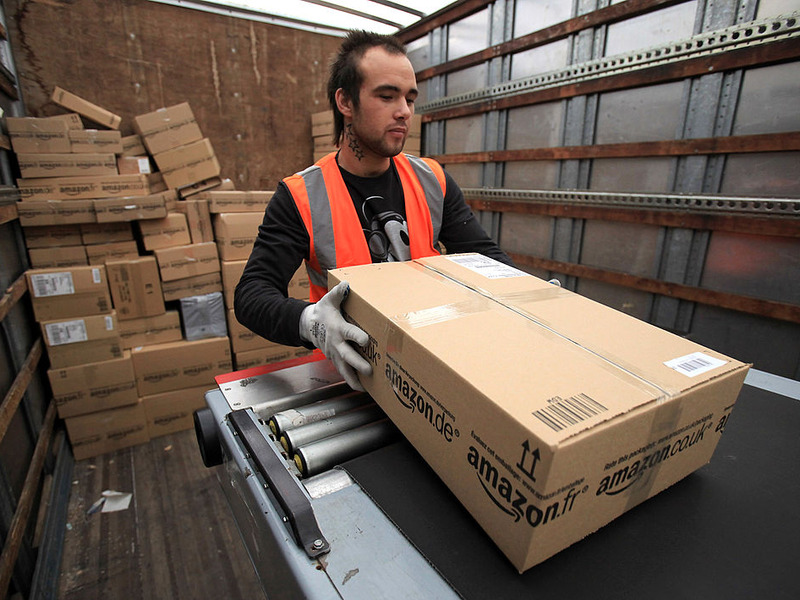 Amazon has repeatedly showed an ability to disrupt entire sectors with corporate announcements. While Trump has not yet decided on any measures, he is considering changing Amazon’s tax status or taking the route of antitrust action, Swan’s report said. Wednesday’s selling comes after a rough day for tech stocks on Tuesday. The sector was slammed by news that the Trump administration was considering a crackdown on Chinese investments into US companies. Amazon shares are up 28% this year before Wednesday’s losses.